Journal for Studies in Management and Planning is a new type of academic journal in economics. 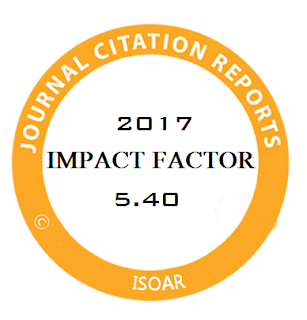 By involving a large research community in an innovative open peer review process, the journal aims to provide fast access to top-quality papers. Publishing is seen as a cooperative enterprise between authors, editors, referees, and readers. Journal for Studies in Management and Planning takes the form of an e-journal, i.e. submission, evaluation, and publication are electronic. Open Access: Following the principle that knowledge is a public good, the journal adheres to the BOAI definition of open access: that users have the right to "read, download, copy, distribute, print, search, or link to the full texts of these articles". Open Assessment: The traditional peer review process is substantially supplemented by a puplic peer review process in which the community of active researchers from all over the world has a hand in the evaluation process. Due to interactive peer review and public discussion, Journal for Studies in Management and Planning provides fast and efficient quality assurance. Speed: Submitted papers that have been identified as sufficiently promising for a referee process are made available on the journal’s homepage within three weeks as discussion papers. Thus, the time for new ideas to find their way into the scientific community is substantially reduced. Add-on Services: Interested readers can take advantage of alert services announcing new papers in their fields. As far as possible, Journal for Studies in Management and Planning also provides hyperlinks to the referenced literature. Papers of this area are concerned with the economic analysis of current policy issues. The analysis is rigorous, from a theoretical and empirical perspective. Contributions are written in nontechnical language appropriate for a broad spectrum of decision makers and participants in policy discussion. Papers of this area aim to integrate the analysis and lessons from various fields of economics and provide new insights that are not accessible from any particular sub-discipline of economics. They are often interdisciplinary, addressed to a general audience interested in economic issues. A replication is a study whose primary purpose is to confirm the validity of a previously published study. A replication will generally consist of two parts. The first part is an attempt to reproduce key findings from the original study. In this exercise, the replicating author will ideally attempt to exactly reproduce the original study’s findings using the identical data set. If the replicating author is initially unsuccessful in this exercise, it is expected that they will contact the original author to gain their assistance in this exercise. In the event that a replication study is successful at reproducing the original study, the next part should consist of a robustness check, if possible. This can be done through a variety of means such as estimating alternative variable specifications, using new data, and/or applying appropriate, alternative estimation procedures. The journal is committed to publishing both confirming and disconfirming replications. The only criterion is that the replication be done to a high standard of professional competency.